Have you ever noticed the old school buildings in Long Lake, Maple Plain, Crystal Bay, Stubbs Bay and other communities in western Hennepin County? You may even go by one every day on your way to school. 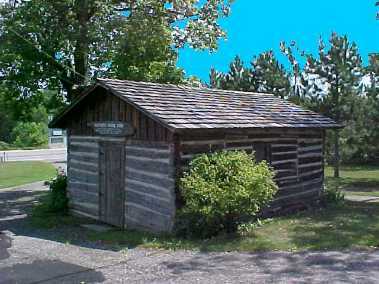 The earliest schools in the area were log cabins, just like people's houses at the time. 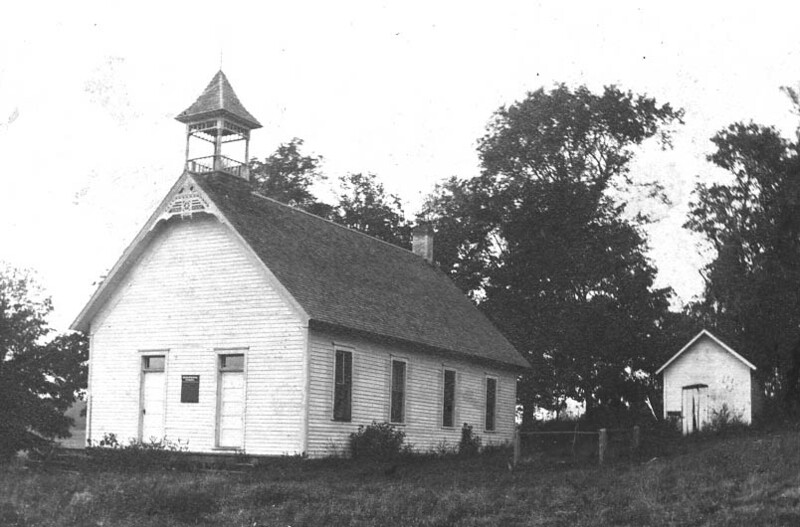 One of the first schools in the Long Lake area was the "Old North School". It dates to 1859 and was originally located about a mile north of Long Lake and was also used as a town hall and a church. It was moved to the grounds of the Pioneer Museum where you can see it today. As people in the area were able to build houses out of sawn boards and paint them too, they improved the schools also. This school was called the "White School", not because it was painted white, but because it was built on land donated by Nathan White. It was located on the corner of Watertown Road and Stubbs Bay Road. This building was the second building on the site. It was built in 1893 to replace the smaller first school which was built in 1868. The White School had a single room for all the grades. The teacher taught separate lessons for each grade, but students in other grades could also hear the lessons. By the time you were in eighth grade you had heard eighth grade lessons over and over again! After a new school was build across the road, the White School was used for a church. Later it was used as a gymnasium for the school students and as a community meeting house. Boy Scout meetings were also held in it. Finally, a few years ago it was moved to Murphy's Landing. Murphy's Landing is a special pioneer village in Minnesota. Old buildings from around the state have been moved there so that we can see how people lived in the early days of Minnesota statehood. I attended school at Stubbs Bay. The building has beeen moved ... It was small and so crowded. I could not go regularly as we were so poor and I helped with farm work at home and worked out all I could. The last year I went was 1887 when I was 18. ... I got 100 in deportment, 95 in attendance and 98 in penmanship on the last report card. ... There were winter and summer terms as we all helped with planting and harvesting. We had double seats for older ones but singles for the younger children. ... We carried our dinner in tin lunch pails. There was a tall stove to heat the room but it was often cold in winter; too hot close by and we would about freeze away from the stove in bad weather. We had a recitation bench up front. One time there was a fad of collecting old buttons. We strung them and had a lot of fun trading, to get more kinds. The teacher had us hang them up to show. We drank from a wooden bucket and all used the same tin dipper. We took turns carrying water from Henry Stubbs' well nearby. Always a lot spilled out in carrying and the boys liked to make more trips. ... Arithmetic was hard for me at school but Pa said when he went to the old Hursh School at Long Lake, he was older and they laughed at him as he returned after being in the Civil War but he beat them at arithmetic in the tests. A later student, Prudence Amy Stubbs, attended school in both the first and second buildings. Everyone called her Amy. She lived just down Watertown Road. She was born in 1879. Her father was a farmer who had a few cows and grew apples to sell in the market in Minneapolis. Her mother taught for a few years at the White School before she was married. 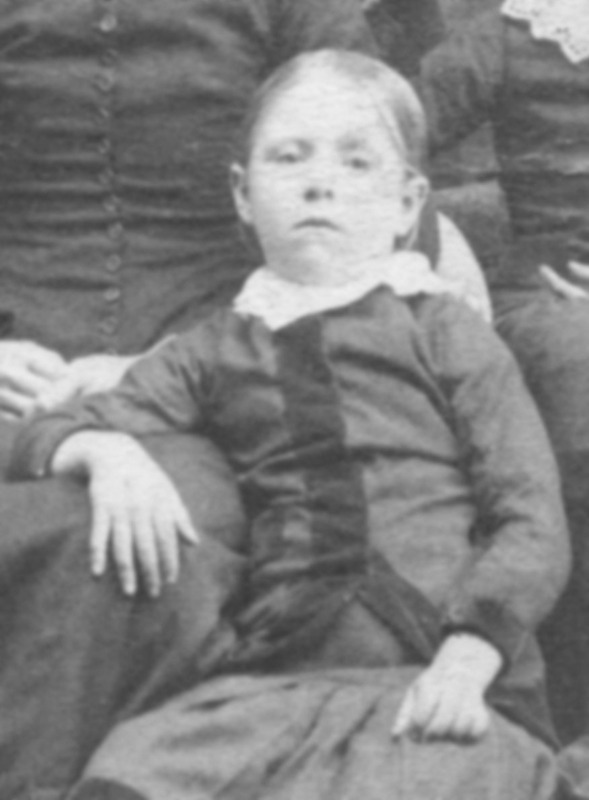 Amy had three older sisters and one younger brother and sister. 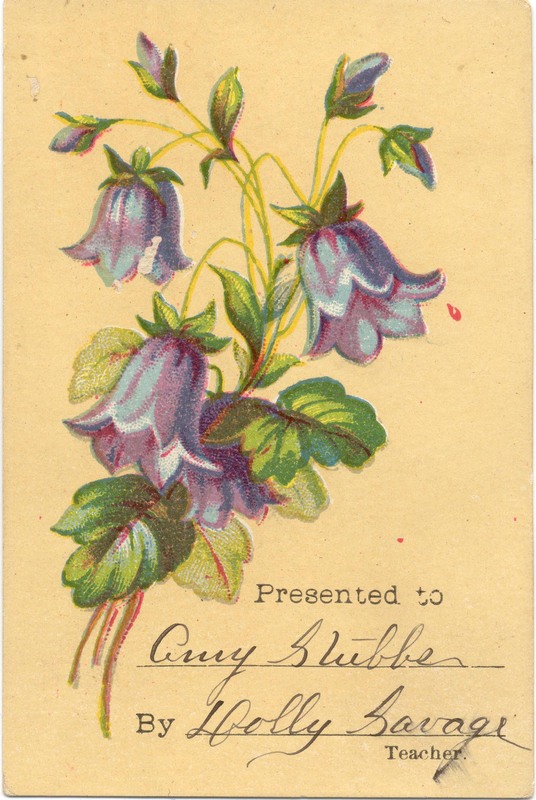 When she did well at school, the teacher would sometimes give her a special card as an	award. The award cards were printed with new color printing technology and must have been very exciting for students to receive. When she turned 16 years old, Amy had a birthday party and later wrote a letter to her friend Stella. Well how goes it? Pretty nice eh? We received your welcome letter today and this evening I will endeavor to write. It is now after seven and the folks have not got back from Minneapolis yet. I made me a dust-cap today, Mary gave me enough of that blue for one. It has been very warm here today. Aren't we having lovely moonlight evenings now? Are you going to watch the eclipse tonight? Tomorrow is Oscar's birthday and Saturday (next) is Warners. Our school began, of course, about 25 scholars, Addie and Ila only large ones. Twas too bad you did not know you could of stayed to the party wasn't it? We had a fine time but needed more girls. Those who came were Vernie, Val, Cecil, Harry, Dudley, Lennie, Oscar, Warner, Willis, Glenn, Lester, Lurverne, Addie, Ila, Maud, Lydia and Edith. The cobweb part was fun I think and being something new I think they all enjoyed it. I got some of the nicest presents and things I've been wanting too. Lester & Lydia gave me hdk'f's. Lydia's with letter S in one corner. Val gave me a box of stationary so you see your envelope comes in fine play. Vernie and Cecil each gave me a photograph holder, these cellu[l]oid ones, you've seen some like them I expect, Vernies's was blue and Cecil's a yellow, not a flashy yellow either, Maud gave me a very cute little vase with paper flowers in and Addie and Ila gave me three glasses. Luverne gave me the cutest little pen knife, part pearl, handle and two blades. Grandma gave me a quarter and I sent to Minn[eapolis] for a book, and the folks are going to get me a scrap album. Making a dozen presents in all. All very nice presents and a pleasant surprise to me. We had ice cream & cake, water melon & apples, had two tables set in Grandma's kitchen, played "Courting in the dark" quite a while and they all left before one o'clock. Say Stella you could of got a chance to have rode up to Delano Sunday if you had been here, do you know it? John Conzet (don't suppose it's spelled right) & wife ... were past here and stopped. He inquired for Mr. Wright & went down there, also asked about you. Tho[ugh]t probably you would like to ride to Delano. He used to know Uncle Nate and Grandpa & also Pa, I think. I commenced my diary Sunday. Wrote four pages telling about party & birthday. It is so very warm this eve. I guess I'll quit writing and if I don't get any more written this time will have to let it go I suppose.